CHICAGO (WLS) -- Hundreds of bags filled with food were given to needy families on Chicago's South Side Wednesday. 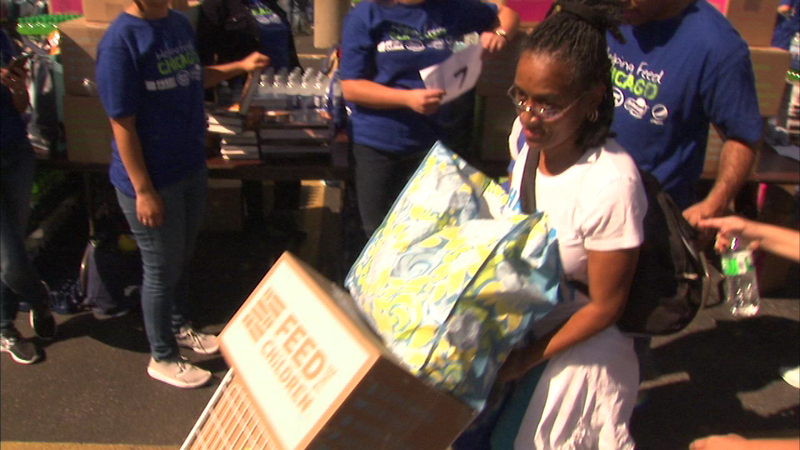 St. Sabina Church teamed up with Feed the Children to hand out the bags in the church's parking lot. This is the second year in a row for the massive food giveaway. Fr. Michael Pfleger is on his way to Washington to attend Pope Francis' congressional address on Thursday.